The shortened code will be easier to scan at more distances, and can be made smaller in print without sacrificing ease of use, particularly when the precision of bulk printing equipment is low. 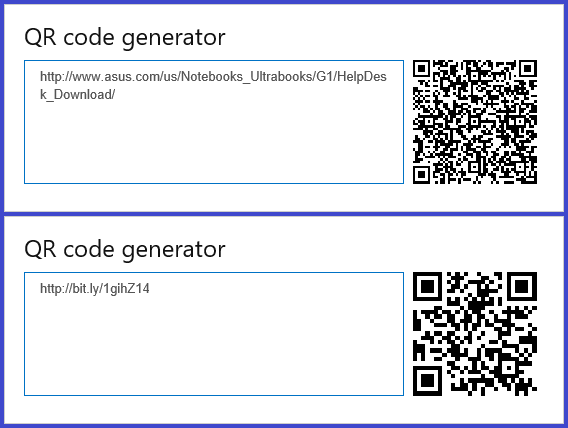 To create your own QR code, just type QR code generator into bing. Check out more cheap tricks here.